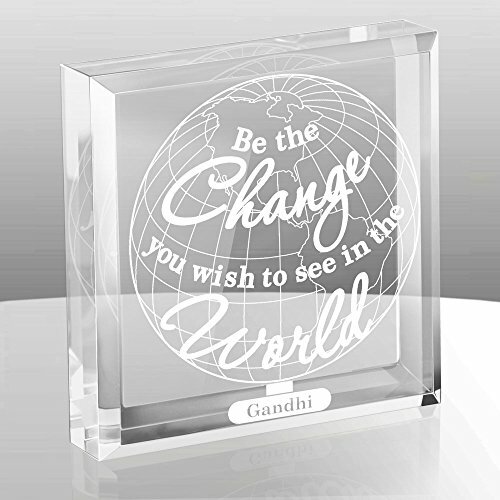 This inspirational desktop paperweight honors one of Mahatma Gandhi's most quoted phrases: "Be the change you wish to see in the world". Display this remarkable thought from one of the most outstanding men in human history. 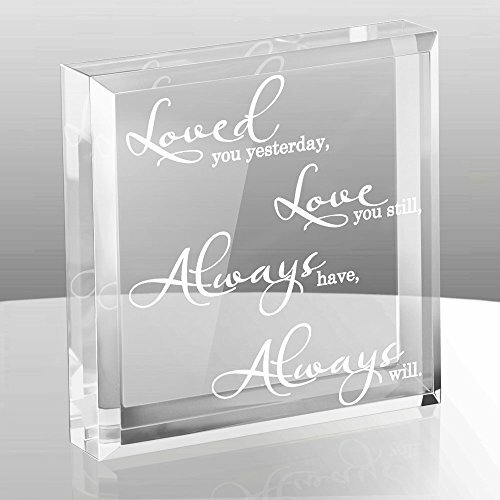 Our design features laser engraved white text engraved on a high quality, ultra-transparent Lucite block that will motivate you or your gift recipient to new heights of success and achievement. 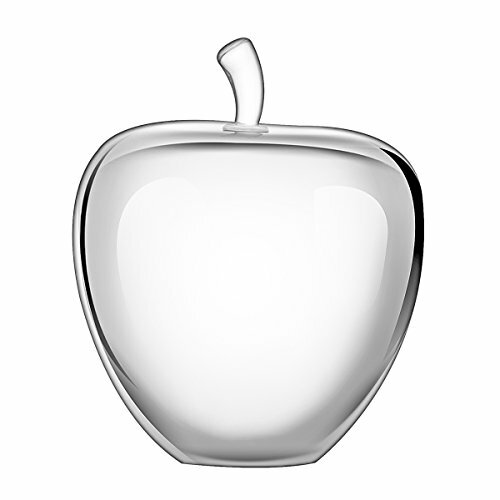 Crystal apple means: Apples are a traditional present for teachers in the United States, Sweden and Denmark. People commonly see apples as a symbol of appreciation from students and parents to teachers. This crystal apple could show great recognition to who ever receives it, and is a timeless gift. It can be used as a home or desk decoration, it's fine to send as a present in most of occasion. This glistening keepsake features a loving poem and makes a thoughtful gift for anniversaries, birthdays, Valentine's Day, and much more. Perfect for 15th wedding anniversary, 1st anniversary - paper weight, Christmas gifts, gift for husband, wife, boyfriend, girlfriend, fr couples, wedding gifts, or any other occasion to remind your best friend how much you love them. Display a memorable message from you to your most beloved person in the whole world: Your mother. 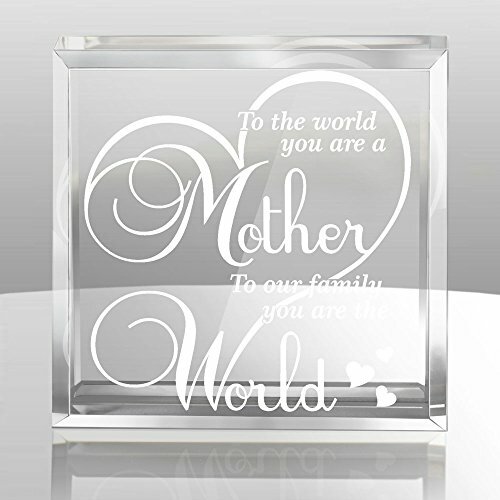 With our unique design, this keepsake features high quality, ultra-transparent lucite with exquisitely laser engraved white ornamental heart accent that will bring smiles to you and your mom for the years to come. 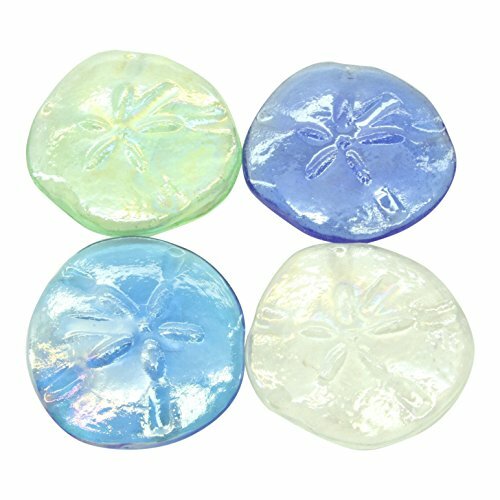 4 Glass Sand Dollar Paperweights . Could be used as a paperweights or just for decoration. 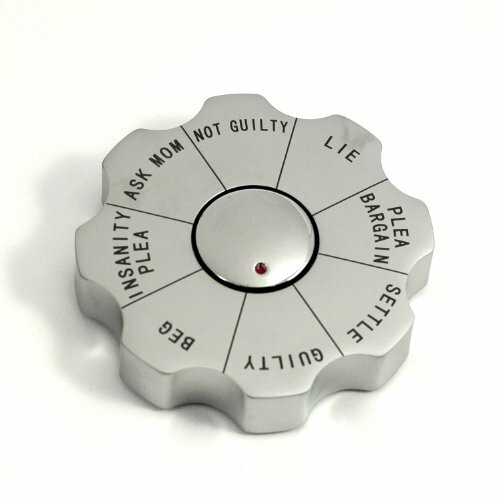 Functional and fun, this Executive Decision Maker Paperweight is the perfect gift for those who have indecisive moments. Just give it a spin and let it decide. 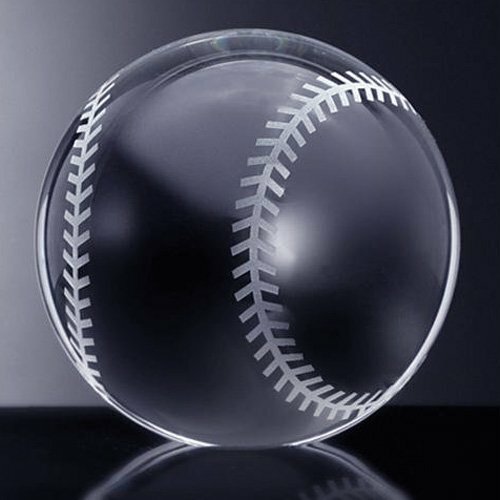 Paperweight details: Paperweight measures: 3.5" in diameter x .75" Heavy, sturdy design. 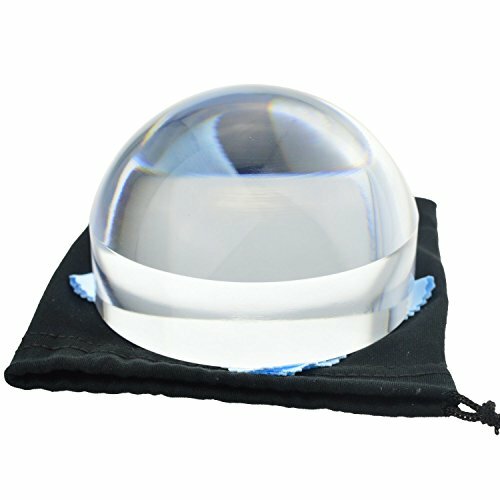 This lovely dome magnifier comes in a deluxe gift box .Can be used as a gift for your loved one or your own beautiful display case.Professional Quality Dome MagnifierConstructed from pressure formed and polished solid optical acrylic. Perfect magnifier for seniors, students, professionals, people with low vision and macular degeneration. Optimum Clarity With Maximum View The unique design allows ambient light to be drawn in from all sides and naturally illuminates your magnification surface, making the dome magnifier the perfect optical tool for enhanced reading of magazines, newspapers, maps, contracts, architecture plans and other reading material. 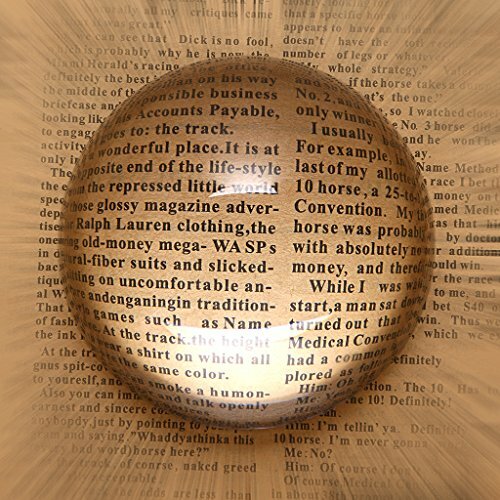 Easy for use The unique design allows these acrylic dome magnifiers to glides effortlessly across a smooth reading surface and makes reading small print a pleasure. All dome magnifier models include polishing storage pouch. Can be used as Paperweight. Backed by Yoctosun 100% LIFETIME WARRANTY! If you are not satisfied with our product, we will give you a full refund. No questions asked. We just want to give you a 100% risk-free experience by going with Yoctosun products. 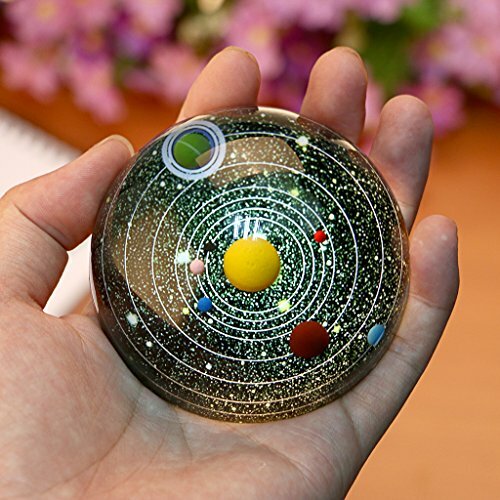 Compare prices on Gift Paperweight at ShopPlanetUp.com – use promo codes and coupons for best offers and deals. We work hard to get you amazing deals and collect all available offers online and represent it in one place for the customers. Now our visitors can leverage benefits of big brands and heavy discounts available for that day and for famous brands.